An implant is a biomaterial inert, usually an alloy of titanium or zirconium, with the shape of a tooth root, which is inserted into the bone to restore the function and aesthetics of one or more teeth. Implants require a very refined surgical technique and strict maintenance. 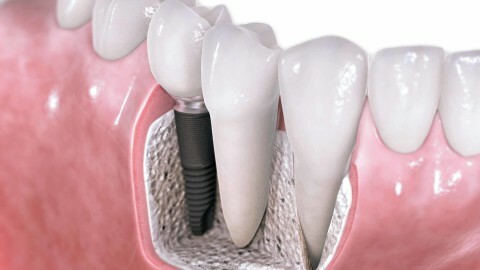 Once the implant has been integrated into the bone, a prosthetic crown is then placed on it.